Some of the world’s biggest challenges, including climate change and political violence, extend far beyond any one nation’s borders. Global catastrophes can occur for a number of reasons, and the Global Challenges Foundation’s 2018 report highlights some of the main risks to humanity today. The foundation, created in 2012, works with researchers to publish annual reports on threats that could devastate at least 10% of the world’s population. This year’s report contributors include astrophysicist Martin Rees and multiple experts focused on disarmament affairs at the United Nations. According to the foundation, the next 50 years will set the pace for humanity’s survival in the next 10,000 years. “Why care now? Because so much is at stake, too little is done, and if we wait until later, caring may no longer matter,” the report’s authors said. Take a look at the 10 greatest challenges facing humans right now. A nuclear explosion could trigger a “nuclear winter,” with widespread famines to follow. Nuclear weapons can kill thousands of people upon impact, and their lingering effects create even more harm. Kennette Benedict, a Bulletin of Atomic Scientists senior adviser, and Nobuyasu Abe, the commissioner of Japan’s Atomic Energy Commission, wrote in the report that nuclear explosions could trigger a “nuclear winter,” where a massive amount of dust and sulfates could conceal the Sun and cool the Earth for years. One model suggests the use of 4,000 nuclear weapons would release 150 teragrams of smoke, which is enough to lower global temperatures by 8 degrees for four or five years. 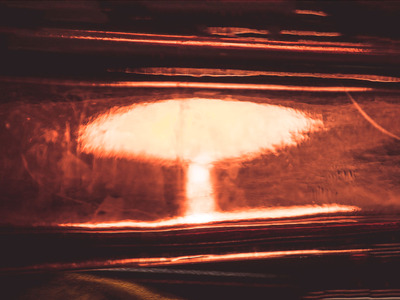 The world’s largest nuclear arsenals, located in the United States and Russia, each have about 7,000 warheads. Benedict and Abe wrote that it would be very difficult to grow food during this time, and chaos would follow amid a widespread famine. Technological progress in synthetic biology and genetic engineering is making it easier and cheaper to weaponize pathogens. Nuclear weapons are complicated and made of rare materials, but biological and chemical weapons can be made for much less money. Angela Kane, a senior fellow at the Vienna Center for Disarmament and Non-Proliferation, wrote in the report that biological weapons could cause global catastrophes if a pathogen leads to a pandemic. Toxic chemicals may be less deadly, but they can still contaminate a large area if they are put into water supplies. Kane added it is possible that a worldwide consensus on banning countries from using toxic chemicals will unravel. She noted that biological and chemical weapons – despite being banned – have been used at least four times in the past 40 years. Climate change will have devastating consequences. Leena Srivastava, the vice chancellor of TERI University in India, wrote that despite the Paris climate deal, there is a 90% chance that global temperature increases will exceed 2 degrees Celsius this century. There is also a 33% chance that the rise will go beyond 3 degrees in the 21st century, and the world is not on track to preventing this from happening, Srivastava said. Most of Florida and Bangladesh will be underwater if the change exceeds 3 degrees, and major coastal areas like Shanghai and Mumbai will be swamped. Srivastava wrote that large numbers of refugees will leave those regions, which would suffer from extreme weather and low food production. At least three past civilizations have fallen apart due to climate change – Norse Viking settlers, the Khmer Empire, and the Indus Valley Civilisation. All three were affected by climate change that was local and not caused by humans, Srivastava wrote. The climate change we face now is global, and there is nowhere for us to run. A collapse of the global ecosystem could halt the Earth’s ability to support a growing human population. Humans rely on ecosystems for air, water, food, and shelter. Since the 1950s, however, deforestation and other damage to ecosystems has lowered the habitability of the Earth at an increasing rate. Maria Ivanova, a professor of global governance at the University of Massachusetts Boston, and Philip Osano, a research fellow at the Stockholm Environment Institute, wrote that the world’s ecosystems are at great risk. An international group of scholars have determined nine “planetary boundaries” that allow the global ecosystem to remain stable, including climate change, fresh water use, and ocean acidification. Ivanova and Osano wrote that humans have surpassed the safe limits of four of these categories – climate change, land-system change, biogeochemical cycles, and biosphere integrity. Land-system change refers to the conversion of forests, grasslands, and wetlands to agricultural land, which can harm biodiversity and water flows if done in excess. Loss of biosphere integrity involves human activity that leads to the extinctions of plants and animals. By 2050, 10 million people could die from antibiotic-resistant bacteria each year. Plague epidemics have killed about 15% of the world’s population twice before. Even though humans have eradicated diseases like smallpox and nearly gotten ride of polio, there is widespread concern that a new disease could cause a large outbreak. David Heymann, head of Chatham House’s Center on Global Health Security, wrote that dense urbanisation has made it more difficult to contain infections. Heymann also noted that some strains of bacteria have become resistant to common antibiotics. If scientists do not come up with new ones, the number of people killed each year by antibiotic-resistant bacteria will go from 700,000 people per year to 10 million by 2050. An asteroid hitting the Earth could lead to global food shortages and the loss of millions of lives. An asteroid is believed to have caused one of the three largest mass extinctions in history when it struck Mexico about 65 million years ago, triggering the end of dinosaurs. Tim Spahr, the CEO of NEO Sciences, wrote that an asteroid big enough to produce a worldwide catastrophe is likely to hit the Earth every 120,000 years. Any asteroid larger than 0.6 miles could cause the planet’s climate to cool, as it would release a massive amount of particles into the atmosphere and dim the Sun, Spahr added. Hundreds of millions of people could die, as the climate change would cause famines. A supervolcano eruption could have devastating effects on the Earth, but scientists can only anticipate such events a few weeks or months ahead of time. Humans nearly went extinct about 74,000 years ago, when the Toba supervolcano erupted in Indonesia and sent billions of tons of sulfates and dust into the air. Stephen Sparks, a professor of earth sciences at the University of Bristol, wrote that it is tough to say when the next supervolanic eruption will occur because there are few past instances to draw from. The data suggests that an eruption takes place every 17,000 years, though it has been 26,500 years since the last one. Although scientists are unable to anticipate volcanic eruptions far in advance, they have identified some potential locations, including Yellowstone in the United States. A supervolcanic eruption would kill many people in the surrounding area and destroy agricultural activity, Sparks wrote. Sulphate and ash would reduce the amount of solar energy reaching the Earth, which would harm the environment. The management of solar radiation is the only known way to quickly halt temperature increases, but this technology is not advanced enough to be used on a global scale. Geoengineering – both carbon removal and solar geoengineering – has the potential to mitigate climate change by manipulating the atmosphere. By taking carbon dioxide out of the atmosphere, our planet could remain within reach of meeting the Paris climate accord, wrote Janos Pasztor, executive director of the Carnegie Climate Geoengineering Governance Institute. This method is not necessarily dangerous, but there are currently no carbon removal techniques that are ready to be deployed worldwide. Solar geoengineering can lower the planet’s temperature by reflecting heat back into space, though the technology is not yet advanced enough to be used. It also a risky endeavour; solar geoengineering could harm the ozone layer, and it has the potential to threaten food supplies by disrupting ecosystems. If we suddenly stopped using solar geoengineering, severe global warming and even international conflicts could follow. Intelligent machines could devastate humans if they are not controlled. Intelligent machines could pose another risk to humans. Many scientists agree that artificial intelligence on par with human brains could emerge in the next few decades, and machines that are more intelligent than us could follow. In the Global Challenges Foundation report, five members of the Future of Life Institute wrote that artificial intelligence could be designed to destroy lives. And even if machines are programmed to do good, they could achieve these goals in harmful ways. “If a superintelligent system is tasked with an ambitious societal project, it might wreak havoc as a side effect, and view human attempts to stop it as a threat to be met,” the Future of Life Institute members wrote. There are other risks to humanity that scientists have not even imagined yet. Humans have repeatedly failed to predict new global catastrophes. Few people could have predicted the explosion of the first nuclear bomb before it happened, and climate change was not on most people’s radar when the United Nations formed in 1945. Roey Tzezana, a researcher at Blavatnik Interdisciplinary Cyber Research Center in Israel, wrote in the report that economic and scientific development is producing even more new risks that we have not yet predicted. Scientists understand the possibility of some events but have deemed them too unlikely to occur. For example, it is possible for a mass extinction to take place if our planet comes in the crosshairs of a gamma ray burst from a star, but Tzezana said this risk is just theoretical right now.